It's the World News 7 days 7 questions weekly quiz - a chance to find out how much global news from the past week you've read, heard and watched... and how much has stayed lodged in the old grey matter. 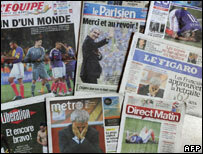 Which member of France's squad was first to apologise to the nation for a disastrous World Cup? 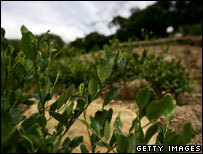 Which country has overtaken Colombia as the main producer of coca leaf, the raw material for making cocaine? 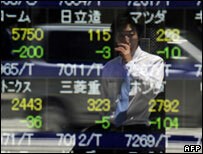 Japanese bosses at the country's top firms have been revealing their salaries after a new law requiring disclosure came into effect. What did the public learn? 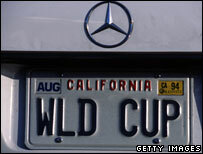 Why are law makers in California considering switching to digital car number plates? 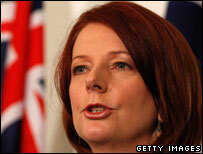 Australia got its first woman PM as Julia Gillard replaced Kevin Rudd this week. Which political figure from Ms Gillard's country of birth has she listed as a hero? England are through to the final 16 at the World Cup... only to face old rival Germany on Sunday. In the 27 matches between the two, which team statistically has the edge? It was Malouda. "We're really sorry for the French population and the French fans. 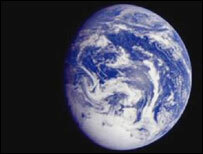 That's not what we want to show," Malouda said as he headed home. "The image we have shown to the world, the way they see France right now is a disaster. As players, we are the first responsible for that." It's Peru. In a report released this week, the UN said Peru now produces more coca leaf by weight, although Colombia still has the largest area of coca leaf production. There was little change in the scale of cultivation in Bolivia, the third biggest producer, which accounts for 15% of world production. It's the foreigners. The list of millionaire bosses is surprisingly short and many of them it turns out are foreigners - like Nissan Motor Co. Chief Executive Carlos Ghosn. They could carry advertising. This is a bid to raise revenue for the cash-strapped state. The idea is that adverts would appear on electronic number plates when cars were stopped at traffic lights or in congestion. Advertisers would buy space from the state's Department of Motor Vehicles. It's Nye Bevin. Born in the Welsh town of Barry in 1961, Ms Gillard migrated to Australia with her parents when she was four. It's roughly 50/50. England have won 12, Germany have won 10 - 12 with the two matches won on penalties - and there have been three draws. It's "High-energy". Scientists have found that dolphins, far from being opportunistic feeders, select fish with more than 5kJ per gram of energy. The world news quiz is published every week, on a Friday.